What do a dumpster, a buy and sell site, and a thrift store have in common? For single mom Carrie Bennet, they offer the chance to earn a little bit of money so sheâ€™ll never leave a grocery store in tears again. What she finds along the way goes far beyond her meager expectations. Friendships, unexpected treasure, and a surprise chance to fulfill her dream to become a psychologist are suddenly within reach. It will be hard to do it all while prioritizing her 9-year-old son and 4-year-old daughter. But this is an opportunity thatâ€™s too good to ignore, and sheâ€™s determined to take full advantage of it. 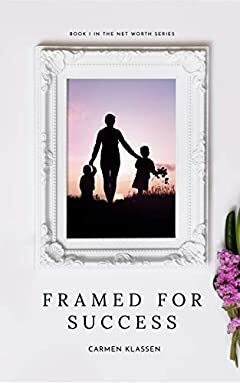 Framed for Success is the story of how an average woman creates value from things other people throw away and transforms her life with hard work, a little creativity, and the help of some good friends.